Actually, the Sonoff POW layout shows some very significant differences to that of the Sonoff TH16, for instance. Obviously the POW has some circuitry for the power monitoring. The main component of this is the HLW8012 (the SOP8 packaged IC in the picture above). I wrote about the HLW8012 a few days ago, so I will not talk a lot about it here. The schema of the POW around the HLW8012 is almost the same as in the datasheet. 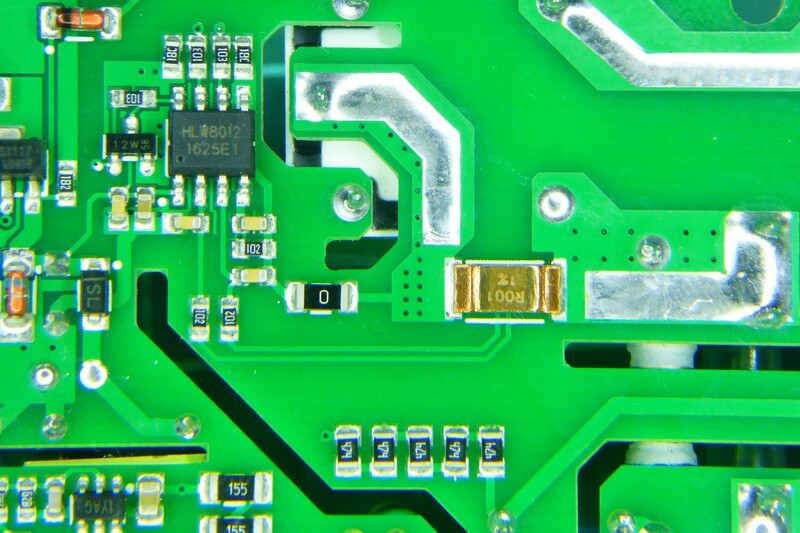 You can see the 1 milliOhm manganese-copper resistor in the center of the board. The IC reads the difference in voltage at the edges of the resistor to calculate the current flowing through. Also, the 5 0603 470kOhm resistors left of the manganese one are the upstream side of the voltage divider that feeds the voltage monitor pin of the HLW8012. A lot of components have been moved to new positions or removed. 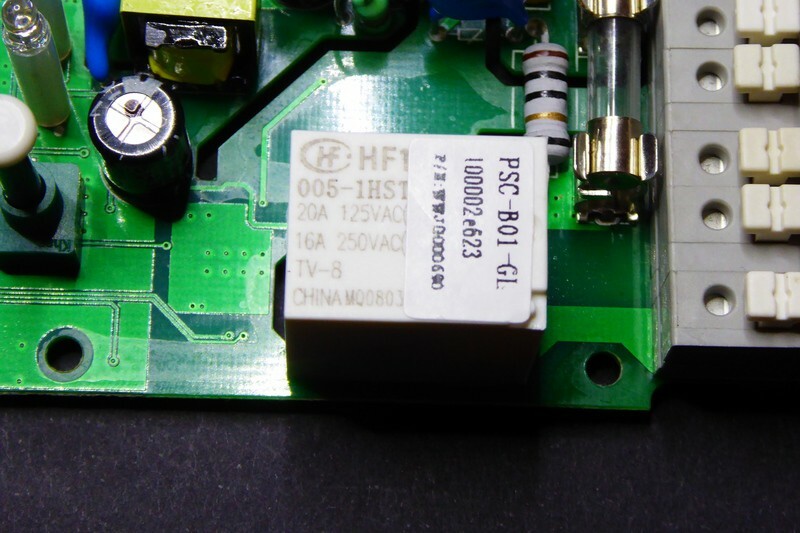 The HLW8012 [Aliexpress] sits exactly where the header for the RF module is in the TH16. So no chance for an RF+POW version. The diode bridge has been moved closer to the edge of the board and the creepage slots run deeper into the DC side of the board. The relay is almost exactly the same as in the TH16, a Honfa HF152F-005-1HST, also rated [email protected] or [email protected] And the programming header sits in the same place. Like the TH16 it has two LEDs, a red attached to GPIO12 like the relay (so it will be on whenever the realy is closed) and a green one on GPIO15. The button is, of course, tied to GPIO0 so you can use it to enter flash mode on boot. If they can sell that for under 15€ it’s a winner. Quality of the new Sonoff line (TH10, TH16, POW and DUAL) is pretty good and that’s why they recently got the CE mark from the EU. The device looks solid, albeit a bit to big. The enclosure is the same as in the TH10 and 16. I still love how the button peeks out of the box. It almost looks like part of the enclosure. You can use the POW with the official eWeLink app. But if you have read me before you might already know I’m not going that way. Instead I soldered a 4 pin header and flashed my own firmware to the device. For the last days I’ve been mostly playing with the HLW8012. Check my post about the HLW8012 a few days ago for a deeper look into it and a library for ESP8266 and Arduino to use it. Today I’ve been updating my ESPurna firmware with the HLW8012 library to support the Sonoff POW. It’s still under development but you can give it a try. The ESPurna firmware is released as free open software and can be checked out at my Espurna repository on GitHub. 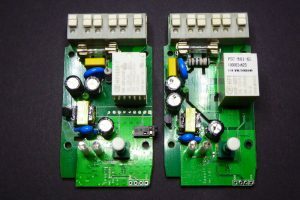 The Sonoff POW by Tinkerman is licensed under a Creative Commons Attribution-ShareAlike 4.0 International License. 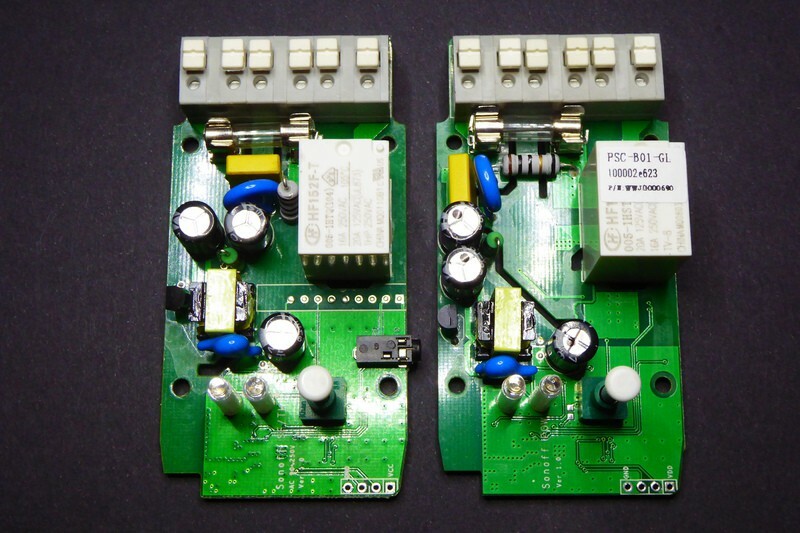 Would love to see a review of Domoticz home automation software used with ESPurna flashed Sonoff devices. I currently use ESP Easy firmware on other ESP8266 devices because Domoticz have native support for the it. Normally I recommed ESPEasy firmware and Domoticz so everyone I know because of its ease of use. Since version 1.4.0 ESPurna has support for MQTT integration with Domoticz. Check their wiki page for instructions on how to integrate Domoticz with MQTT enabled external devices. I attempted to flash a sonoff pow with an ftdi adapter at 5v. Only noticed my mistake when platformio couldn’t find the device when uploading. Now even after switching to 3.3v, platform io never finds the device. I just get a generic espcomm failed to sync error when I try to upload the firmware. Curiously, it still works with the firmware it came with (and the ewelink app), I just can’t seem to flash any other firmware on it. I very much doubt it’s fried since you say it still works with the original firmware. My experience is that these IC are quite tolerant to 5V, never fried one by mistake and I have done that mistake more than once. Try resetting your programmer before trying again (disconnect it from you PC), then hold the button down while plugging in the programmer again and keep it down while flashing the device. Sometimes that helps. I suspect that a bad contact might bounce the button signal and the ESP8266 won’t get into flash mode. Pingback: Smartphone und Arduino | wer bastelt mit? i managed to flash espurna on my sonoff pow. I’m using version 1.4.4 with domoticz support. I like it alot and the webinterface is very nice. But i can’t find the right way to integrate it. Do i have to use mqtt to make it work or does it communicate directly with domoticz? Will i be able to use the powermeter in domoticz? OK, you will need to configure the device from the Domoticz side too. I just updated the ESPurna wiki with a first draft on how to integrate ESPurna and Domoticz. Thank you kindly for sharing this information. From what I can tell V1P-V1N is 43.75mV from the datasheet. And if the resistor is 0.001 ohms… Not taking into account relay and tracks in the board… that is like 43.74 Amps, right? You should also take into account other values like the resistor max power rate. A 1W shunt should handle up to ~31A peak. Xose, not sure if these are available in Spain, but i recently got my hands on one of the ecoplugs from walmart, you can search for item# 554470210. It has an enclosure similar to sonoff s20, it has built in power monitoring with the HLW8012 ic and it has esp8266 built in. So far I am using Tasmota firmware and I have gotten most of the features working, i am still trying to find out which gpio pins are going to the HLW8012ic and will see if tasmota firmware will be able to give me power meter readings. Also, I will be in Barcelona at the end of April, I am very excited about the trip! Yes, I know about the ecoplug and my ESPurna firmware has support for them except for the power monitoring. Problem is that it’s not available here and importing it costs an abusive quantity of money. Besides it’s only 120V and here we work at 230V so I will need further equipment. Anyway I think the HLW8012 in the Ecoplug is accessed via a secondary controller with an I2C interface. Not sure about it. A user here has sent me logs of the readings he’s getting but so far no one I know of has been able to reverse engineered it. En pregunte si ESPurna (amb un Sonoff Pow) pot mesurar factors de potència negatius, es a dir, diferenciar entre quan es consumeix i quan s’injecta a la red. Si fora així, m’acabes de d’estalviar molts mals de cap! Doncs no sabria dir-te. 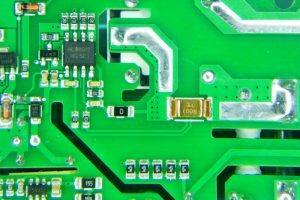 No tinc gaire experiència en mesurar energia “injectada” a la xarxa elèctrica… l’únic que et puc dir és que el HLW8012 (el chip que porta el POW) mesura per separat corrent instantani (mesurant la diferència de potencial a ambdós costats d’una resistència de 0.001Ohm) i voltatge amb un divisor de potencial de 2570 a 1. Amb aquestes dos mesures fa sampling de potència instantània i retorna potència activa, voltatge i corrent RMS. Buenas, habría posibilidad de volver al firmware original una vez cambiado por el ESPurna? Solo si antes has hecho una copia del mismo usando esptool, por ejemplo. Aunque he de reconocer que yo no lo he probado. Hi, From the ITEAD website I get the impression that the POW provides both ‘total power used’ and actual power (‘now’) usage values. Accurate measuring of ‘power used’ is a continuous function of ‘actual power’. I therefore assume that ‘total power used’ is calculated and maintained by the Sonoff POW device (like smart power meters which provide both total power used and current power values). Is that assumption correct? Does ESPurna also provide both these values? If so, is ‘total used’ a standard feature of the HLW8012 chip or is it constantly calculated and maintained in the software? 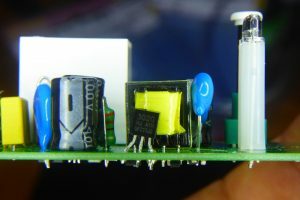 What when the Sonoff POW loses power, is ‘total power used’ value locally retained in non-volatile memory or is it lost? Nice review. I just received my Sonoff POW today (ordered from banggood) and I wonder if it’s a knock-off or whether Itead are changing the design. The reason I say this is that the relay in mine is an HKE V6-S-DC5V and the contacts are only rated to 10A for 250V. I’ll have to be careful not to overload it! I would stay in the safe zone with these boards. Wouldn’t load it with more than (say) 5A continuously. I really need this to be able to handle up to 3000W though. You guys know of any equivalent alternative (i.e. ESP with power consumption and real 16A/3500W) ? Thanks for taking the time to review this product, very useful. Do you know if the POW provides readings of both Voltage and Current or just Current? And does it calculate Watts as simply Volts x Amps (Actually VA, not W) or does it take into account Power Factor too? It calculates voltage and current (both RMS) and true (or active) power so it takes the power factor into account. I would like start with saying thanks, I have quite a few sonoff devices running espurna and controlled by openhab and it is working great. Your work and effort are appreciated. Hi Izhar. Thanks for your support. GPIO2 must be pulled high for the chip to start up correctly, but once running you can use it as any other GPIO. No reason you could not use it for a DS18B20. 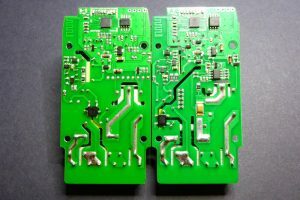 ¿Es posible localizar mas GPIO’s para conectar más sensores? Estoy evaluando si me compro el sonoff POW para accionar una bomba de agua y necesito un par de GPIO’s extra para verificar niveles. Thank you very much, I bought a few sonoff pow before，and I have flashed the espurna into my sonoff pow，I tested a few times，after the flashing , when I put it into my 220V circuit, I find it the circuit is open, I have tried to set the relay mode to “on”, or double click the main bottom of the device ,it doesn’t work. 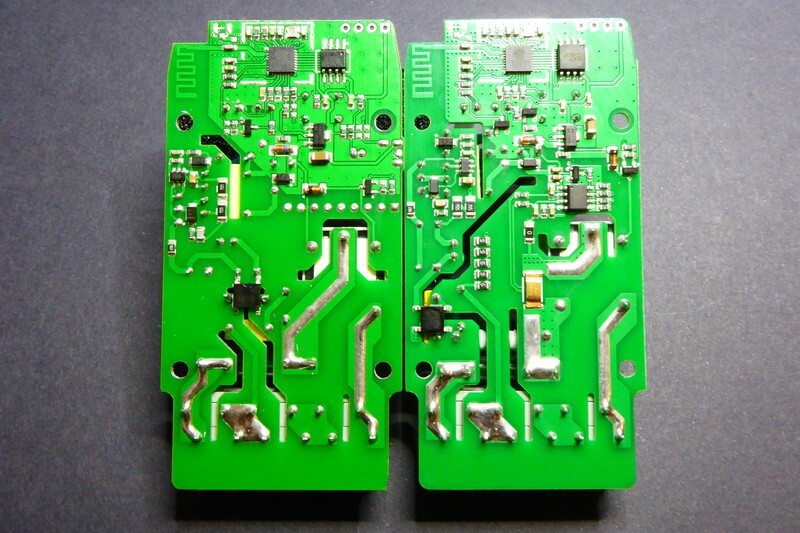 I have a couple of sonoff pow working at home and we use 230V here… could it be something else? Hola, antes que nada felicitaciones por tu projecto! Despues de ver minuciosamente el esquematico hay algo que no entiendo. la medición de tension se hace poniendo un divisor resistivo entre vivo y neutro tomando una pequeña fraccion de la tension total. Ahora bien, he visto que en algunos circuitos toman como referencia el neutro y otros la tension de linea. Pero en tu esquematico la referencia es flotante! mide la tension de neutro pero no usa como referencia la tensión de línea. Podrias explicarme? Is there any way to hack the POW so that it can measure the power usage in a hole house? The power breakers im my house are rated at 16A max, but from what i have been reading no one recomends using the POW for its rated power (16A). The relay could be taken off the board, i just need the power measurement part. I do not recommend that. I don’t think it’s safe to use it with a 10A load or more. Traces are not so thick and contacts might not support higher currents. Having said that, the theoretical limit for the HLW8012 power measuring chip is 30.94mV RMS in the VIP/VIN inputs. Those inputs monitor both sides of a milliohm shunt resistor. That means there is a limit of 30.94A RMS. Depending on the appliances at your home that could be enough or not. Hi Xose, first of all thank you for your work. I am running 3 Sonoff Pow at home to avoid overcharge of the line and I use domoticz to stop one of them. 1. Would espurna handle temp, humidity, power, and voltage? 2. To which pins should I solder the cables so that the sensor is powered and passes the data to the SonoffPow? I wanted to check Your software, but when I want to open bitbucket site I only get: “Repository unavailable”? What is happening? Sorry for the late reply. There was a problem with bitbucket a few days ago. it seems like I’m not able to put the sonoff in update mode, any hint? Sometimes the button does not property do the contact at the right moment. Keep trying. Also (as a rule of thumb for any device) always try to switch RX and TX. Sometimes they are labeled from the ESP8266 point of view and sometimes from the programmer. Green led (blue in ver 2.0) is managed differently than in sonoff-th. Simply changing (in C language) the port number from 13 to 15 does not solve the problem. You can tell how to manage this LED? The POW has the LED in GPIO15 in direct logic while the TH is in GPIO13 in inverse logic. I don’t have access to any V2 POW so I can’t tell. Best way is to grab a tester and find out the GPIO connected to the LED. The schematic in Itead’s wiki show the original POW connections. Apparently nothing has changed? Thank you very much for the answer. I understand GPIO4 is the bottom right pin of ESP8266 (pin 16) and GPIO2 is the pin14, right? I actually have the Itead si7021, and the idea was to add a female jack to the sonoof pow and connect the itead si7021 directly there. But the itead si7021 jack has only 3 pins, Vin Gnd and Data. Any chance of doing it? or it is just better to disassembly the unit and connect SCL and SDA of the si7021 to gpio2 and gpio4? You are right about the GPIOs. Itead’s SI7021 is a SI7021 sensor dressed in a DHT22 costume. I mean, they have added a microcontroller to the sensor that does a facade, making it behave like a DHT22. So you just need one pin to control it. Sorry for my limited english. I have a colleague who spoke to me about this module, because I was looking for a way to make an unloader at least one shot. Only I have a current of 30A out of the EDF meter, plus it’s three-phase, but just put 3 modules. I am a programmer so arduino I know a little bit to have started doing some tests. 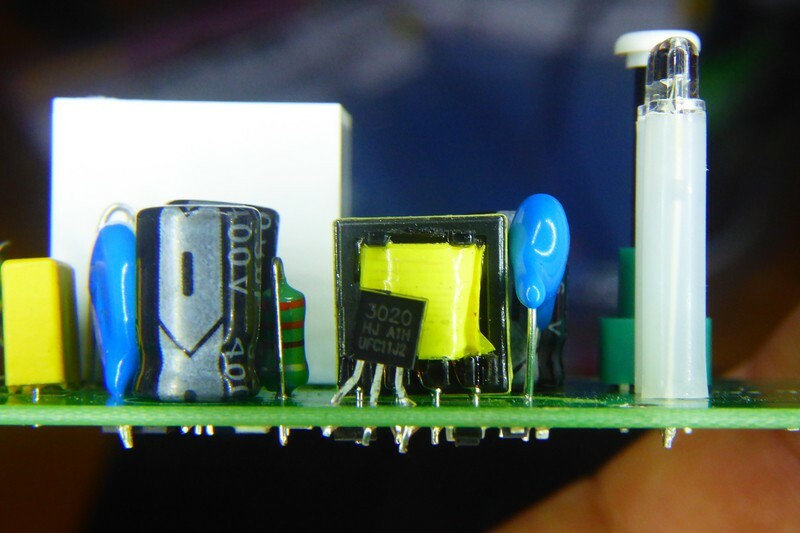 I do not know what you thought about it, but to leave on this module does not seem viable considering its power, but perhaps with the component HLW8012 and an arduino. This is to unload material in case of overload on the EDF circuit breaker. The HLW8012 current measuring circuit measures the differential voltage across a shunt resistor. The IC itself has a limit of 30.95mV RMS. With a 1mOhm shunt that means 30.95A RMS max. It’s a tight match. Te POW is not ready for such high currents, will not use it for a load bigger than 10A. I was thinking if i could use serial port on POW. Don’t! Somehow thete is te 220V! The digital ground in the POW is connected to live neutral, so don’t connect anything to the serial port while powered with mains!! Very informative review, too bad I didn’t read it earlier. I followed the instructions on the Tasmota wiki where it was uncertain whether the button on the POW is actually connected to ground, so many recommended connecting to the GPIO0 on the board with a wire and ground the unit that way.. I tried a couple of times to flash but I kept getting the ‘Timed out waiting for packet header’ error (I have a feeling my programming adapter is no good). Anyway, after a coupe of attempts I noticed that the blue LED no longer worked if I connected the POW to the adapter without going into flash mode. However, when I connected the unit to the mains the blue LED would be on all the time, no blinking. Pressing the button or holding it down for several seconds had no effect. Has this happened to anyone else, that is, after repeated tries the POW simply no longer works? Actually, is my unit actually now broken or is there some way to fix it? I don’t think you bricked your POW unless you had short-circuit it… Most of the times it’s just a bad flash. Try erasing the flash first and then flash it again. iam intrested to use sonoff pow as water level pump controller. curently using sonoff pow to run 1.5hp water motor to fill overhead water tank,system works fine ,water pump turns on and off at desired time. I want to add some float switch or sensor to turn trigger off command in sonoff to turn pump off when water level reaches high (dont need low level trigger) irrespective of switch off schedule time is yet to trigger as programmed. As of now have to manually push sonoff button to switch off when water overflow before switch off command is triggered. Need to use sonoff pow only (if iam not wrong it can handle water pump of heavy load of 16a or 3500 w). Connecting float directly to push button of sonoff may risk leakage of ac current hence overruled. Can you guide or advice how to achieve this configuration or what type of sonoff to use as water level sensor or trigger with water pump of high load rating. 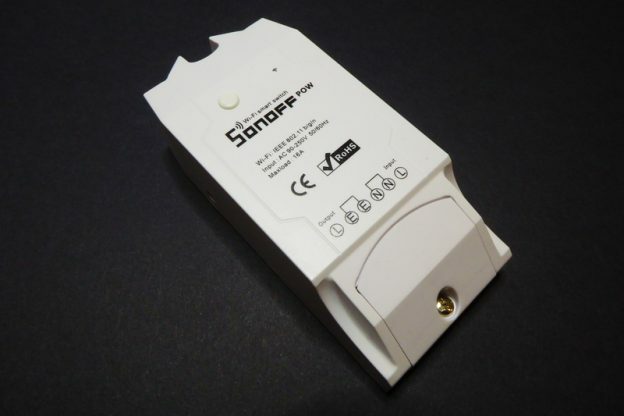 The Sonoff POW does not have available general purpose IOs available to connect extra sensors unless you want to repurpose RX and TX in the programming header. Also, I would not load it with 16A, even thou the manufacturer claims so I think it’s somewhat risky to load it with more than 10A.